JACKSONVILLE…State Representative CD Davidsmeyer (R-Jacksonville) is reminding area school students that the deadline for his art competition is quickly approaching. “The deadline for my student art contest is January 31,” said Davidsmeyer. “The art contest has four categories based on age; Kindergarten through second grade, 3rd grade through 5th grade, 6th grade through 8th grade and high school Freshman through Senior,” said Davidsmeyer. Students in Kindergarten through 5th grade will compete in a coloring competition. 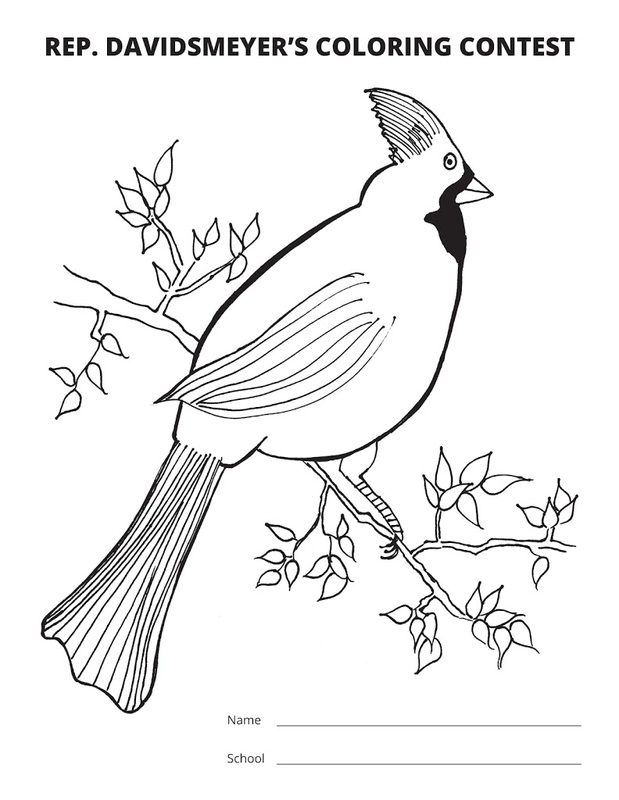 The coloring worksheet can be downloaded at www.cddavidsmeyer.org or can be sent through e-mail or mail by calling (217) 243-6221. Students who are in 6th grade through high school Seniors will compete by drawing or painting a picture that resembles their community. This can feature their school, church, home or a nature scene. Entries will be judged on beauty, uniqueness and fulfilled intent.